Audio books can be a great way to pass the time on a long car ride, supplement a homeschool classroom, or keep your kids reading without a book in their hand. In our home, we use audio books all the time! Sometimes, we even have them follow along in a physical book! Audio books can be a great tool to keep kids reading if they are just learning to read, or even if they can’t read yet. 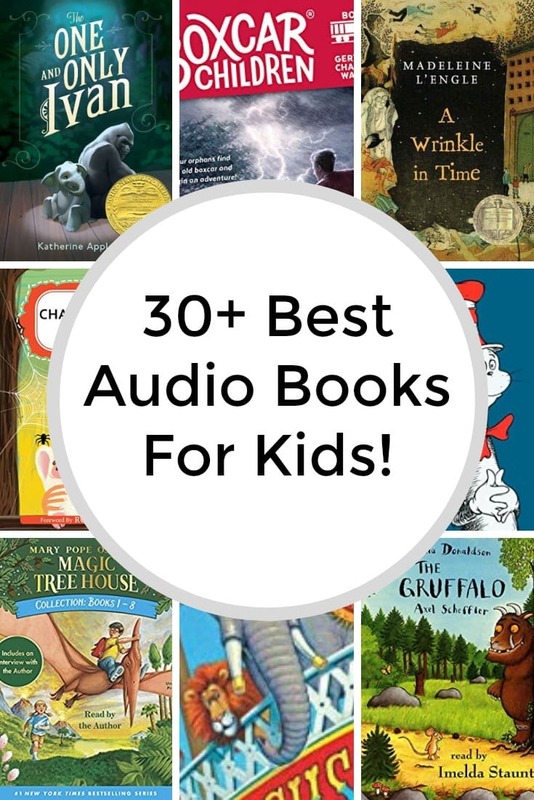 If you are looking for some great audio book options for your kids, you’ve come to the right place. Here are 25 audio books for kids to listen to, as well as some of our additional recommendations at the end. If you do not have an audio book membership yet, you can get a free trial of Audible here (including free audio books). This is who our family uses, and it is really simple to use and pick books from each month. Our most recent book we listened to was A Wrinkle In Time, and the kids loved listening to the book much more then the movie even (they had read it ahead of time, but it resonated better with my youngest when she was able to listen to the audio version). A couple nights a week we lay in bed and listen to a couple of chapters together before bed. It is a great way to unwind after a busy day, as well as hang out together with the kids. Most of these are geared towards elementary age kids, but many are fun for the entire family to listen to together. We have listed over 25 general picks for kids below and then Jen and I share some of our kids favorites as bonus picks below (these are ones our kids specifically picked to share with other kids, so be sure to scroll down for those). The Boxcar Children – this one is a series that is popular with kids, and is good for those into chapter books! Jumanji – this version is suitable for younger kids (and much shorter) and is not the version that the might think of when you think of the recent movie. The One and Only Ivan – Great chapter book. From Jen: This was such a sweet story, especially if your kids are major animal lovers like mine. My older daughter read this book last year & loved it, so it’s on the list for my younger daughter (rated as ages 8+). This was a Newberry Award winner in 2013, New York Times best-seller & will soon be a major motion picture. So, this would be a great one to listen to on audiobook with the whole family to be ready for when it’s releases as a movie. This book is inspired by the true story of a captive gorilla known as Ivan & the book is told from the point of view of Ivan himself. It’s a wonderful book about unexpected friendship. The Book Thief – this one is geared towards older kids. The story of a foster child who is dealing with the loss of his brother, and separation from his mother, and gets access to the books in the mayor’s library. Along the way he is witness to the atrocities of war, heartbreaking events, love, loss and other life-changing events. Almost Paradise – good for kids into chapter books. Twelve-year-old Ruby Clyde Henderson’s life turns upside down the day her mother’s boyfriend holds up a convenience store and her mother is wrongly jailed for assisting with the crime. The Gruffalo – fun for younger kids. The Girl Who Drank the Moon – great for kids in the older elementary ages. This book has won many awards. Bridge to Terabithia – for those kids into chapter books. Jess Aarons has been practicing all summer so he can be the fastest runner in the fifth grade. And he almost is, until the new girl in school, Leslie Burke, outpaces him. The two become fast friends and spend most days in the woods behind Leslie’s house, where they invent an enchanted land called Terabithia. One morning, Leslie goes to Terabithia without Jess and a tragedy occurs. It will take the love of his family and the strength that Leslie has given him for Jess to be able to deal with his grief. The Angry Dragon – geared towards younger kids. Captain Underpants – these are popular with both boys and girls, but the series has been a favorite for many boys I know. There are a number of these books, so they could listen to them for a very long time! Dork Diaries – This is another set that my girls loved. The Dork Diaries series, which chronicles the oh-so-fabulous life of Nikki Maxwell as she navigates the halls of middle school, mean girls, BFF drama and first crushes. Deep Dark and Dangerous – Just before summer begins, 13-year-old Ali finds an odd photograph in the attic. She knows the two children in it are her mother, Claire, and her aunt Dulcie. But who’s the third person, the one who’s been torn out of the picture? Here are some of my (Sia’s) kids’ favorites that they added to this list. 1 – Wonder – Before my kids saw the movie, they enjoyed the book (and like is often the case, they said the book was better)! 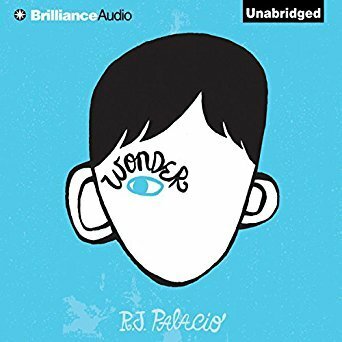 Wonder is a touching story of a little boy (Auggie) who was born with facial differences and as a result, his mom kept him home from school until the 5th grade. It’s a touching story of him integrating into mainstream schooling, during an age of bullying. It’s a moving story and has inspired the hashtag #ChooseKind. My kids loved both the book and the movie. It is a good one to listen to with the entire family (interesting for mom and dad too). 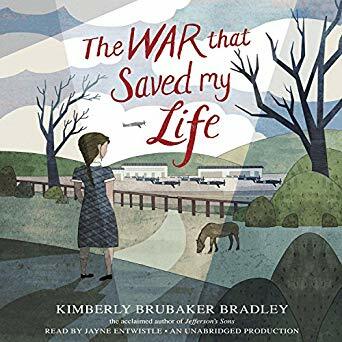 2 – The War That Saved My Life – this is one that my kids are currently into, and they learned about if from the many kids at their school who also loved this story. It is about a 9 year old girl named Ada who has been kept inside most of her life, because her mother is embarrassed that she was born with a foot impairment. It is set during war time, and when they send her little brother away for safety, Ada sneaks out to join him. This starts new adventures for Ada and other characters in the book. It is a touching tale of triumph when the odds are stacked against you. 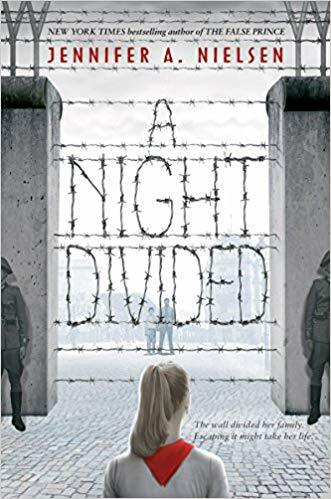 5 –A Night Divided – From New York Times best-selling author Jennifer A. Nielsen comes a stunning thriller about a girl who must escape to freedom after the Berlin Wall divides her family between east and west. With the rise of the Berlin Wall, 12-year-old Gerta finds her family divided overnight. She, her mother, and her brother, Fritz, live on the eastern side, controlled by the Soviets. Her father and middle brother, who had gone west in search of work, cannot return home. Gerta knows it is dangerous to watch the wall, to think forbidden thoughts of freedom, yet she can’t help herself. 1. 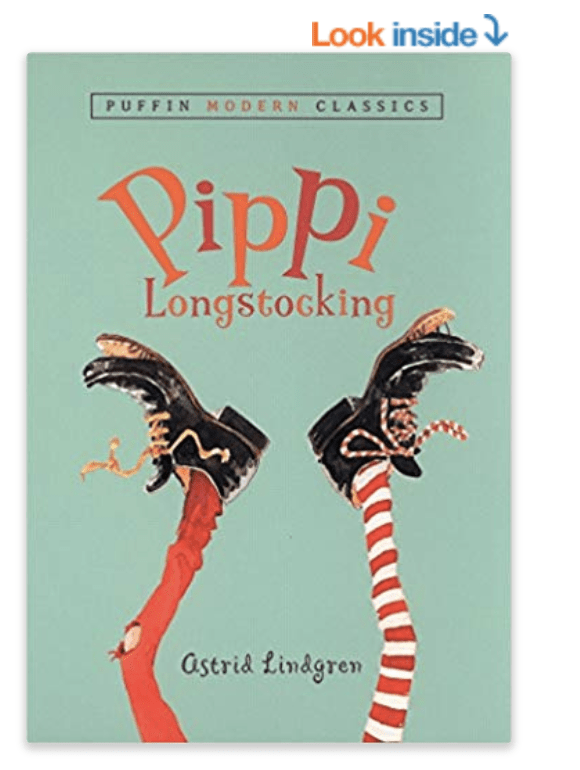 Pippi Longstocking – This classic book was an absolute favorite of my girls as a family read-aloud as we had so many laughs over Pippi’s constant antics. If they enjoy this book, make sure to check out the other books in the series: Pippi Goes on Board, Pippi in the South Seas, and Pippi on the Run (these may not be available on audiobook, though). This is a great series to start at any age in elementary school & any age will enjoy the comedic relief in this story. The younger elementary kids will really love this book, though! 2. 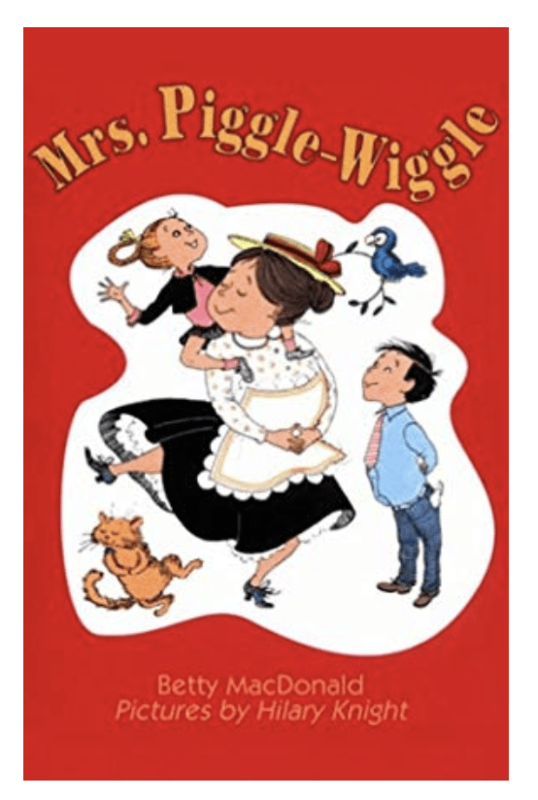 Mrs Piggle-Wiggle – Ok so this may be another book you remember from your childhood, but I am someone who loves all the classic books, so they are always ones I encourage my daughters to read. This was definitely one of their favorite books in the early elementary years. It is just a fun, lighthearted book that will be a fun listen for the whole family – younger siblings will get a kick out of it, too. There is a whole series of Mrs Piggle Wiggle books too on Audiobook if you enjoy this first book. 3. 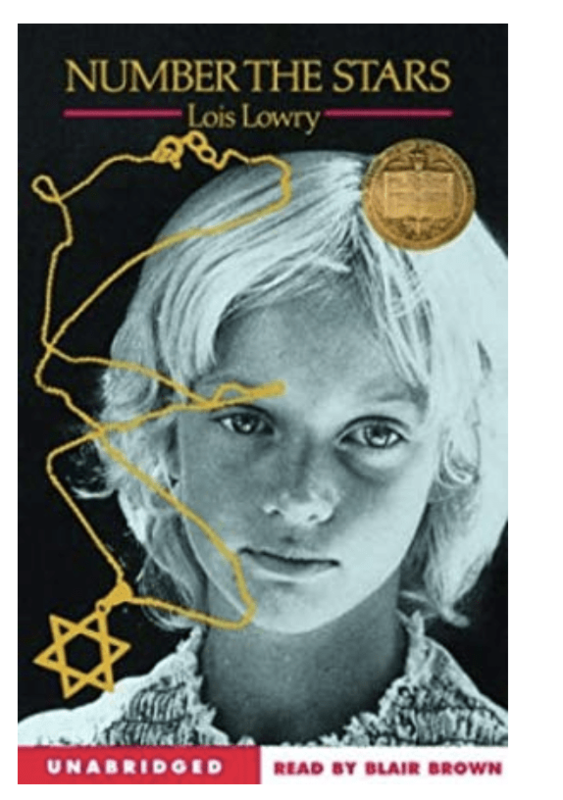 Number the Stars – This is a 1990 Newberry Award winner and such a poignant read, teaching kids about WWII & how the Nazis treated the Jewish people, with the setting of Denmark during the war. The age on Common Sense Media suggests ages 9-10 & it would be an excellent book to listen to as the whole family, so you could discuss it together after reading. 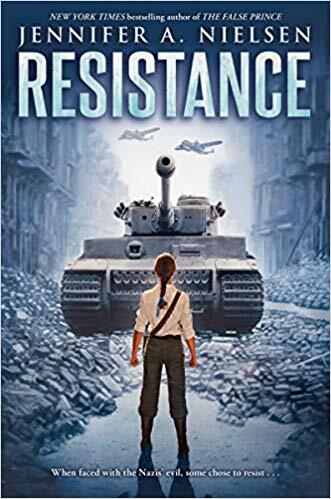 My older daughter found this to be a powerful story that really made the war & what’s she’s learned of it so much more real hearing from the kids’ perspectives. 4. 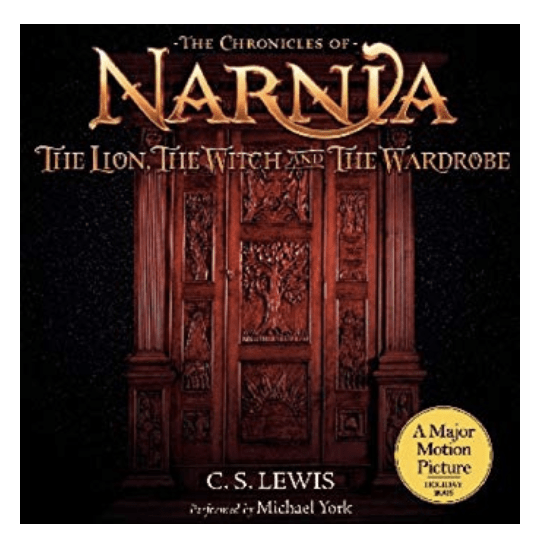 The Lion, the Witch and the Wardrobe – This is another classic book, but it is a book that the whole family will enjoy from elementary, teens & adults, that I wanted to mention it in case you haven’t had the chance to read/listen to it and have only watched the movie with your kids. We did most of The Chronicles of Narnia series together as a family & it captivated all of us, even starting when my youngest was just in 1st grade, so it really could work for any age. 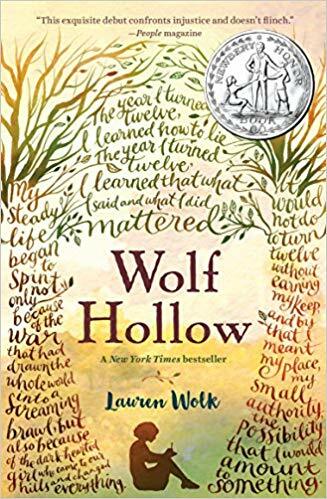 We did this as a nighttime read-aloud, but I think it would be so good to listen to as an audiobook as it would keep you on the edge of your seat. I always thought that The Lion, The Witch & the Wardrobe was the first book, but The Magician’s Nephew is actually the first book and it was really interesting to start with that book to give the back story a bit on some of the characters, so I would recommend starting with it, too. Let us know what your kids’ favorites are in the comments to inspire more options for folks looking for great kids audio book recommendations!